On May 20, 2010, Raleigh television station ABC11 released a report indicating that North Carolina Highway Patrol Troopers crashed their vehicles at a rate of 7 wrecks per week for the calendar year 2009, an average of one crash per day. 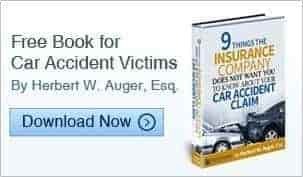 Three days after the release of this report, an accident involving a State Trooper took the lives of 2 innocent victims. Trooper J.D. Goodnight was traveling 120mph just before he crashed into Sandra Allmond’s vehicle, killing her instantly. An 11 year old passenger was also killed. In an interview with Capital Broadcasting Company, Highway Patrol spokesman Sergeant Jeff Gordon advised that there is no regulation concerning the speed limit a trooper may reach while pursuing traffic enforcement. High-speed police chases are not occurring just in North Carolina. In Milwaukee, Wisconsin, rules regarding police pursuits were recently changed. The old rule only required that the officer have reasonable suspicion of a crime before engaging in a pursuit. Now, an officer must find probably cause that the suspect committed a violent felony before engaging in a pursuit. Opponents of limits on when an officer may engage in a high speed chase fear that criminals will become bolder, and that officers may be subject to investigation based on spilt-second decisions. There is also fear that the suspect will do even greater harm to the general public if the suspect is not apprehended. On the other hand, according to Geoffrey Alpert, professor of criminology at the University of South Carolina, 35%-40% of all police chases end in crashes. Professor Alpert opined that “restrictive chase” policies save lives. While North Carolina Highway Patrol does not have any regulations pertaining to high speed chases in traffic enforcements, other jurisdictions are enacting limits on chases, sadly, however, only after similar tragic events such as this one. On May 19, 2010, while participating in “A Ride of Silence,” a group bicycle ride to honor those who have been injured or killed while cycling on public roadways, 6 cyclists were mowed down by an SUV traveling in the opposite direction. The 21 year old driver of the SUV, Daniel Burton Wilson, II, fled the scene. Wilson, who reluctantly turned himself in, has been charged with 6 counts of felony hit-and-run. Wilson has refused to answer any questions relating to this incident, leading one to speculate whether drugs or alcohol were involved, or even whether this was an intentional act. Four of the six cyclists that were hit were rushed to area hospitals. According to the North Carolina Department of Transportation, a bike rider is allowed to ride anywhere in the traffic lane, and not just to the right hand edge of the roadway, provided the rider is able to maintain the same seed as other vehicles on the road. Otherwise, riders are advised to stay to the right-hand side of the lane. Here, the cyclists reportedly were within their lane when Mr. Wilson crossed the double yellow line into oncoming traffic, striking the cyclists head-on. Our Charlotte bike accident attorneys can answer your questions related to cycle accidents with cars. Shortly before Charlotte, North Carolina schools let out for the summer, the Center for Disease Control (CDC) will bring the danger of being bitten by a dog into the national spotlight as it promotes National Dog Bite Prevention Week from May 17-23. Since children between the ages of 5 and 9 are the people most likely to be bitten, and they are about to be released from school, this event is particularly timely. The CDC reports that of the 4.7 million Americans that will be bitten by dogs this year, 20% will be bitten badly enough to require medical attention, and over 30,000 will have to undergo reconstructive surgery for those bites. Since children are more likely than adults to be bitten by dogs, and people (children and adults) who have dogs in their home are more likely to be bitten by dogs than those who don’t have dogs in their home, the American Veterinary Medical Association (AVMA) has come up with some suggestions on how to protect your child from being bitten by a dog. We recommend that you immediately seek medical attention. As soon as you are able, contact local police. Provide Animal Control with as much information as they can so they can try to determine whether the biting dog was current on its vaccines. Contact an experienced dog bite attorney to learn your options. With the month of May being National Bike Month, and the onset of warmer weather, more cyclists are taking to the roads. The prudent driver will exercise caution when encountering a bicycle rider. A bicycle is considered a vehicle by North Carolina Law and cyclists are required to obey the same rules of the road as the driver of a car or truck. Often times, however, automobile drivers do not treat cyclists as fellow motorists and tend to become impatient when behind a cyclist. Drivers must remember that unless they are maintaining a safe distance and a proper lookout, a seemingly minor impact with a bicycle can cause serious injury and even death. In North Carolina in 2008, 32 cyclists were killed. This represents 2.2% of all traffic fatalities in the state, and exceeds the national average, which is 1.9% . Our accident and injury attorneys can help you obtain the compensation you may be entitled to. If you are the victim of a dog bite in North Carolina, you may be entitled to recover damages for your injuries. There is a leash law in effect in Charlotte Mecklenburg which states “Animals [except cats] must be on a leash, contained within a fence or an operable and marked invisible fence. An animal may be loose in its own yard if there is an adult (18 years or older) immediately next to the animal and the animal responds to direct verbal commands of the person.” Violations of the leash law does not automatically make a dog owner responsible, however, it sets the standard that unless a dog is appropriately restrained in the owner’s yard, the dog must be on a leash. If the dog bite occurs within the home of the dog owner, or within its fenced yard, the owner may still be responsible for injuries inflicted by the biting canine. In North Carolina, a dog’s owner is charged with having knowledge of the general propensities of his particular breed. Furthermore, the owner of the dog must exercise care to prevent injury from reasonably anticipated conduct of that particular breed. In other words, the owner of a Rottweiler is charged with having knowledge of the general characteristics of the Rottweiler breed. It is important to contact Animal Control immediately if you are the victim of a dog bit. Animal Control will take steps necessary to determine whether the dog is current on its vaccines, and if necessary, quarantine the animal. Worried about filing a claim against your neighbor? Don’t be! Claims for dog bites are handled by the homeowner’s insurance, or, if applicable, the renter’s insurance policy for the dog’s owner. Once the claim is filed, there is little or no contact with the dogs owner and all communication is with their insurance company. Our Charlotte, North Carolina attorneys have handled countless dog bite cases. Do not hesitate to call us for your free case evaluation. Our Charlotte, North Carolina car accident lawyers are often called upon by the families of pedestrians injured when hit by a car. On Tuesday, May 11, 2010, 17 year old Rayshawn Rainey was killed from injuries suffered in a Charlotte pedestrian accident. According to witnesses, the teenager was trying to cross The Plaza. After clearing the two inbound lanes, he was struck when crossing the first outbound lane. The minor was struck by a second vehicle when he fell into the next lane. Charlotte Mecklenburg Police continue to investigate, and neither drive has been charged. According to the National Highway Traffic Safety Administration (NHTSA), nearly 12% of traffic deaths in 2008 were pedestrian, with approximately 75% of pedestrian deaths occurring at nonintersections (i.e., crossing in the middle of the street). NHTSA has also found that although overall traffic related deaths have decreased, pedestrian traffic deaths have not seen the same decline.